Enjoy the best inspirational, motivational, positive, funny and famous quotes by April Parker Jones. Use words and picture quotations to push forward and inspire you keep going in life! 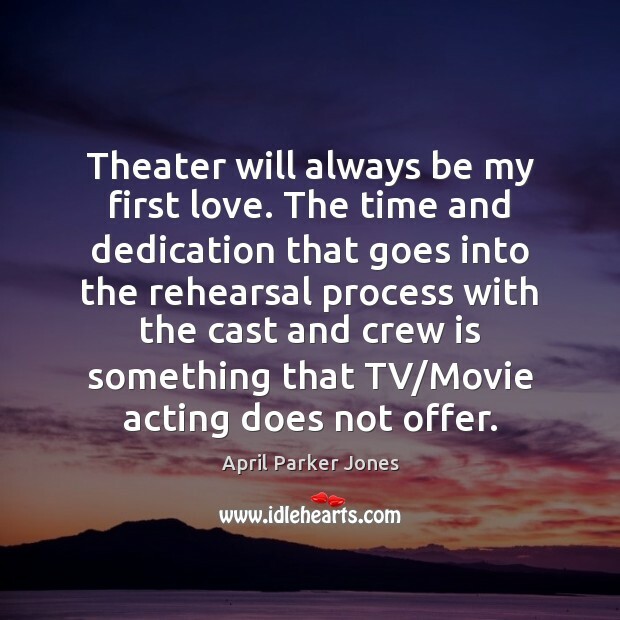 Theater will always be my first love. The time and dedication that goes into the rehearsal process with the cast and crew is something that TV/Movie acting does not offer. 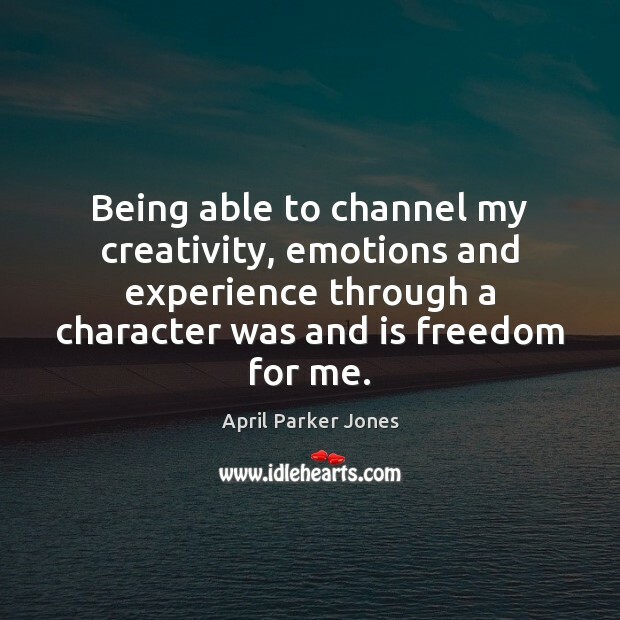 Being able to channel my creativity, emotions and experience through a character was and is freedom for me. I knew that I wanted to pursue acting as a profession during my sophomore year of college. 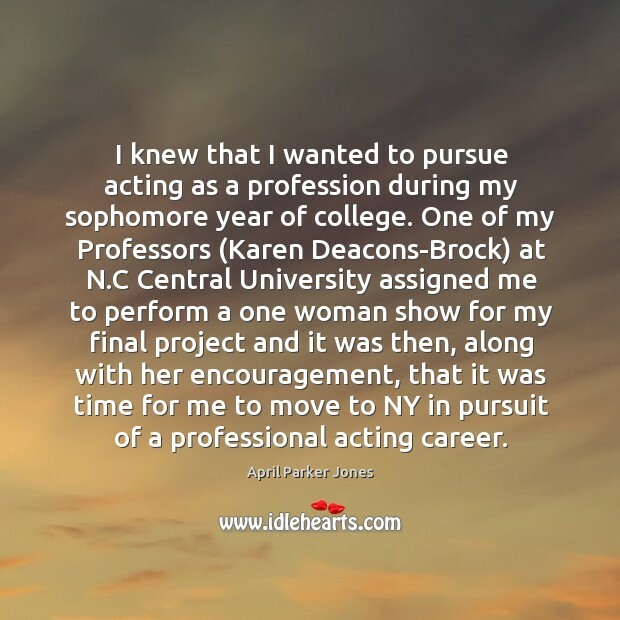 One of my Professors (Karen Deacons-Brock) at N.C Central University assigned me to perform a one woman show for my final project and it was then, along with her encouragement, that it was time for me to move to NY in pursuit of a professional acting career.